I’m especially excited about Genius Hour in our middle school for the spring semester. I’ve been assigned to “facilitate” a photography group. While I’ve always enjoyed taking photos, I’ve never formally studied and I expect to learn a lot from my students. They are each required to blog about their photography as it relates to each of the concepts that we are studying. I’ve pledged to do the same, so here is my posting highlighting my learning throughout this unit. Thanks to Cambridge in Colour and Digital Cameral World for their tutorials and great examples. Depth of Field refers to the range of distance that appears acceptably sharp. It varies depending on camera type, aperture and focusing distance, although print size and viewing distance can also influence our perception of depth of field. 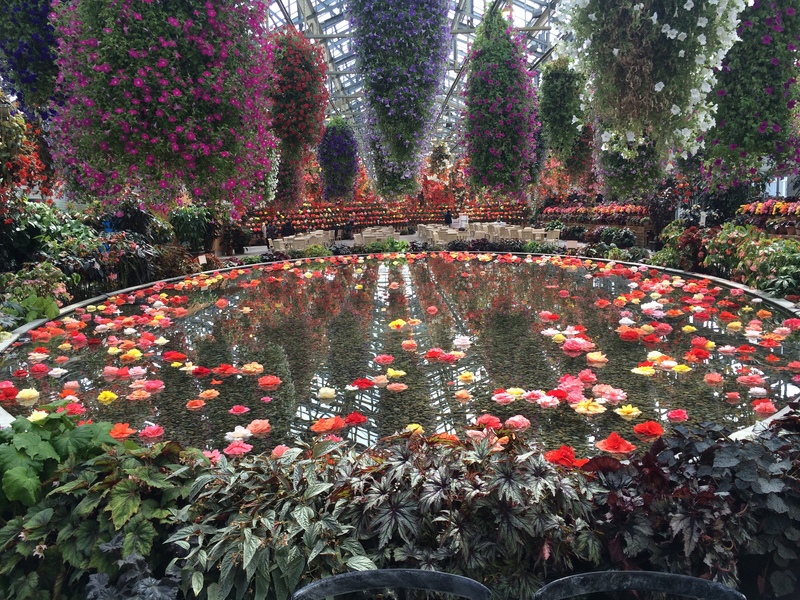 This was taken at Nabana no Sato, a botanical garden near Nagoya in Aichi Prefecture. The intended focus was the white flower with the water droplets, and the blurred colors of the purple flowers in back make an interesting backdrop without drawing attention away from the focus. 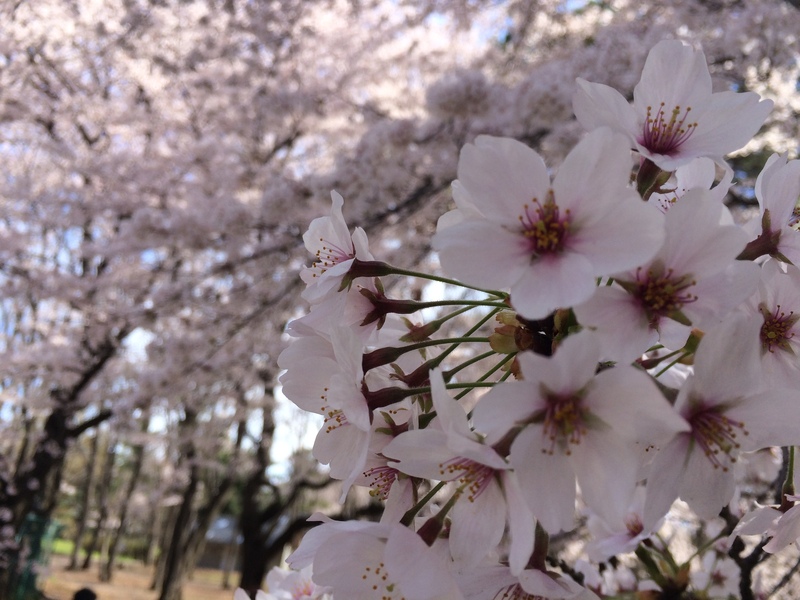 The sakura petals in Nogawa Kowen worked well for depth of vision as well. 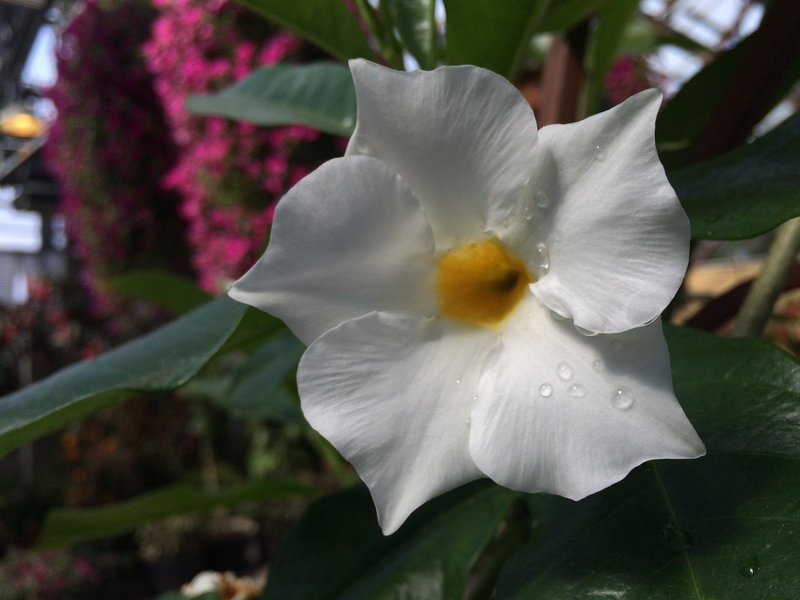 It’s cool how the colored center of the flower is enhanced by the blurred white blossoms in the background. Black and White: Just as with color photography, black and white photography can use color to make a subject stand out. This photo is my apartment building near Mitaka Station in Tokyo. 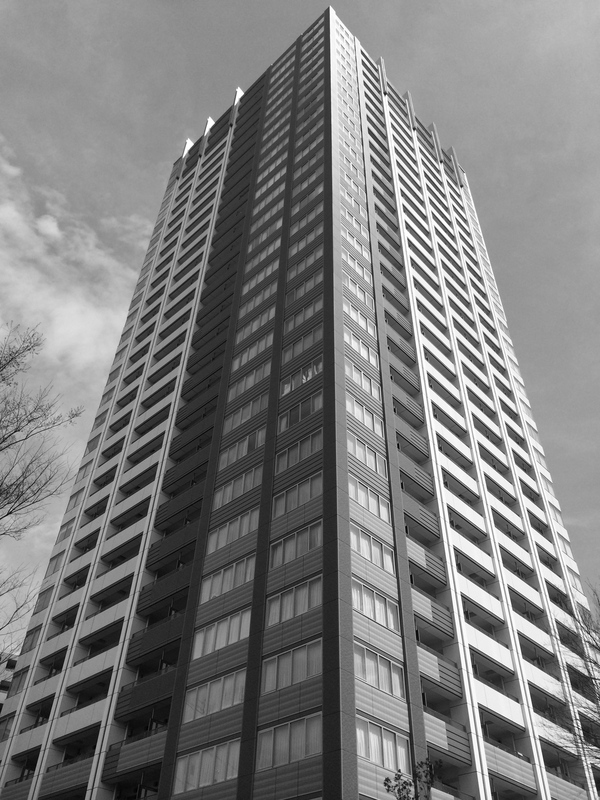 It is one of a set of twins, The Musashino Tower complex. The brown color of the siding on the corner and the darker brown siding as you move outward from the center contrasts with the lighter siding on the outer columns. Is this also an example of leading lines? Leading Lines refers to a composition technique whereby the viewer’s eye is attracted to lines that lead directly to the principle subject in the photograph. 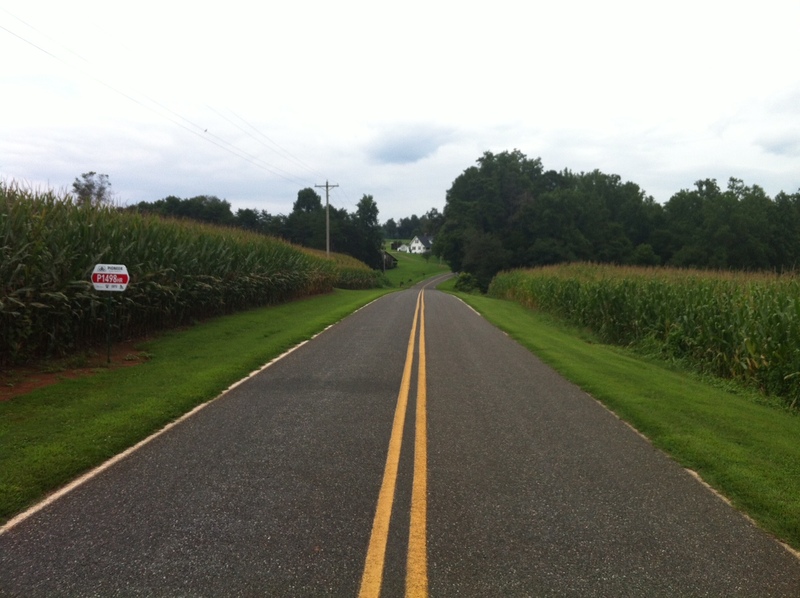 This is not my best work, but I think it still demonstrates the idea of leading lines. 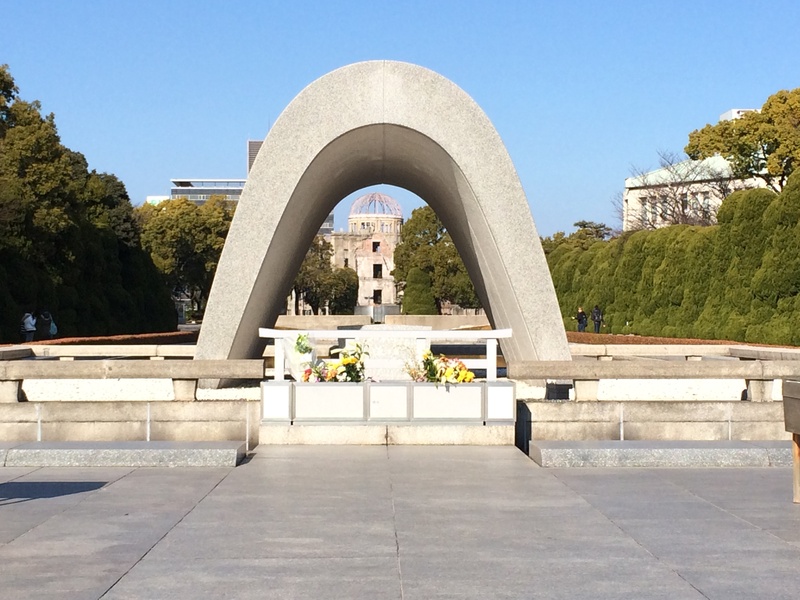 The straight lines of the walkway and the curved lines in the arch of the cenotaph lead the viewer’s eyes directly to the Atomic Dome further in the background. This was of course taken at Heiwakinen Park or the Hiroshima Peace Park Memorial in Hiroshima, Japan. Color Contrast is an effective compositional element in color photography. 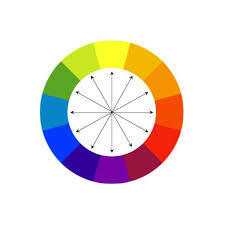 Colors on the opposite side of the color wheel contrast strongly when placed together. Each color compliments the qualities of the other and makes the color images more pronounced. Below are two images with color contrast. The first is a drastic contrast between two opposite colors on the wheel, red and green. The second is also a drastic visual contrast, but the two colors are actually close to each other on the color wheel, light blue and green. 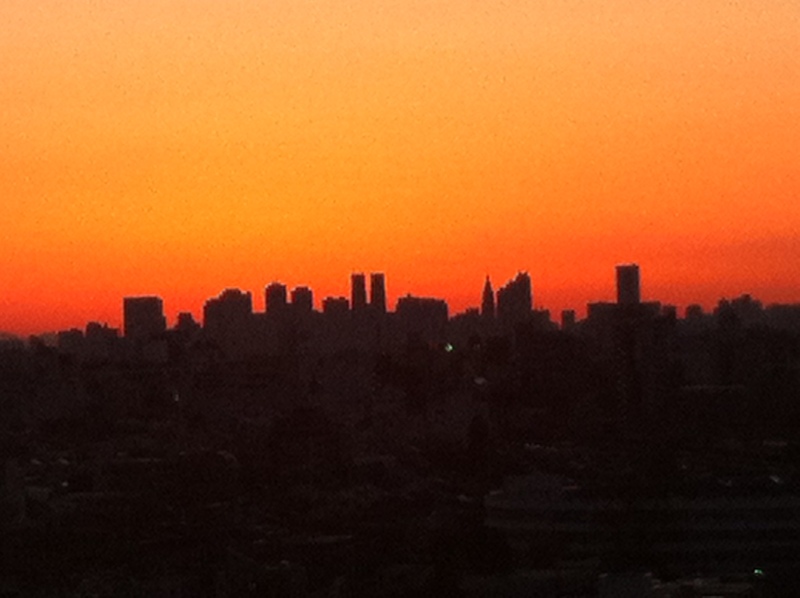 This was taken in the month of December at the Park Hyatt in Tokyo. 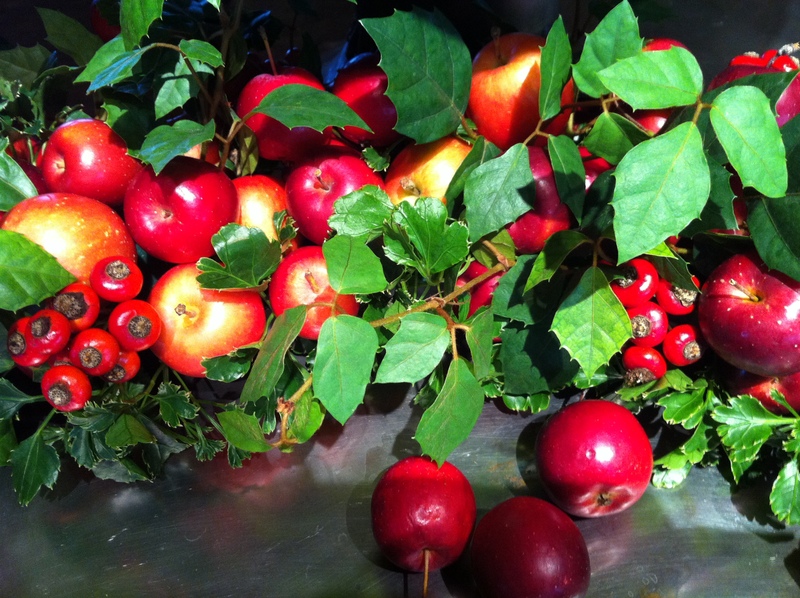 It is a display that changes seasonally in front of a restaurant. 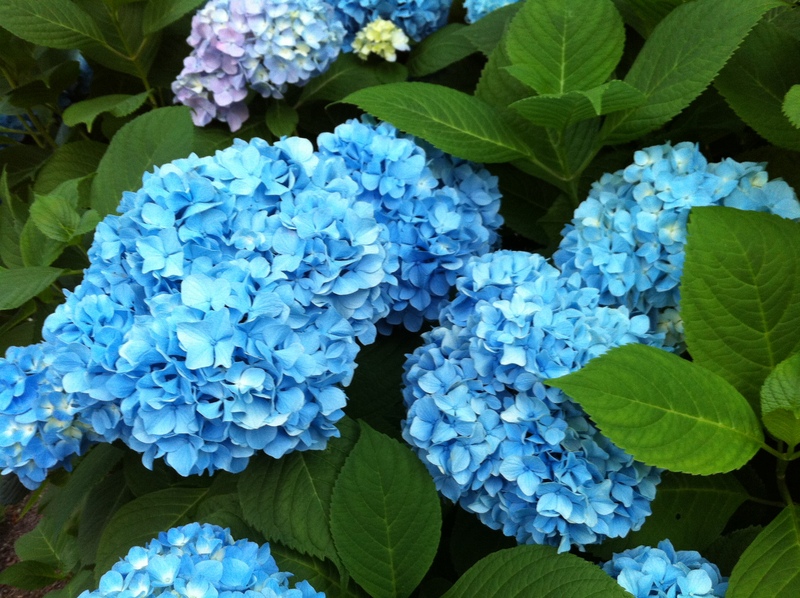 This early summer photo is of the famous hydrangeas in Cape Cod, Massachusetts. Shape and Form: Shape and form are two of the six design elements in photography: shape, line, form, texture, color and space. Almost every photograph emphasizes some shape or form, but great photographs incorporate more than one. Texture: Texture is another of the six classic elements in photography. It can sometimes be difficult to photography texture because it is quite different from landscape, object, or portrait photography. 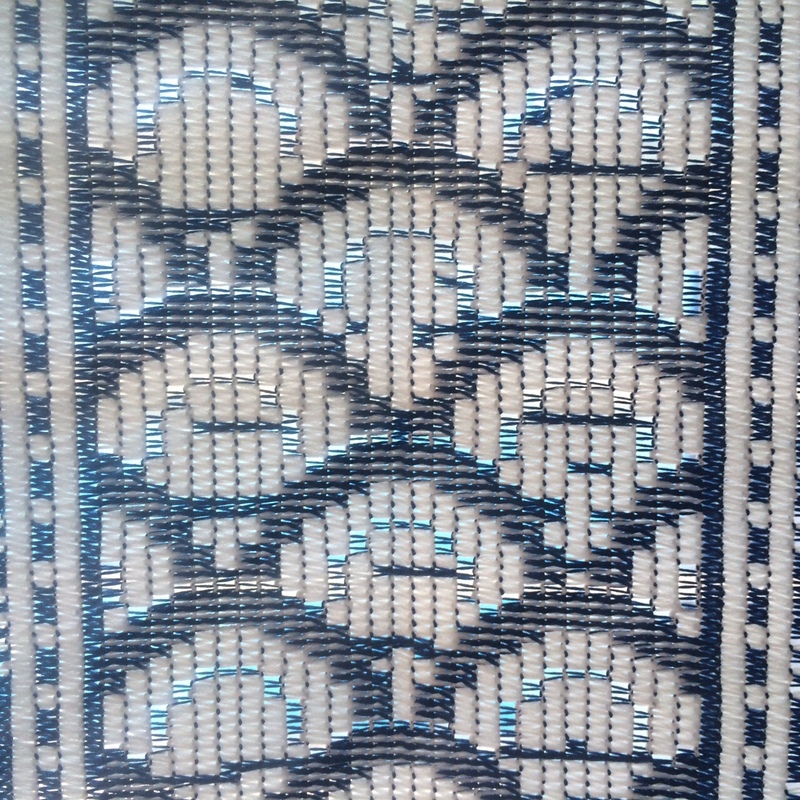 Texture photography is all about patterns, colors and depth. Details are very important. A combination of details, patterns, depth and interesting colors make outstanding photography. Contrasting light in photography is the difference in light that makes an object or shape more distinguishable. Light contrast, to the viewer, is determined by the difference in brightness of the object and other objects within the same field of view. Each country had to prepare two proposals for a “global council” meeting which was run debate style. Students dressed in a national costume of their design on the day of the council meeting. They formally presented each of their proposals and then defended both by responding to questions from other countries and by offering further clarification for their proposals. In order for a proposal to pass, it had to be accepted by a 2/3 majority of the global council. The culminating activity, and part of the summative assessment itself, was this council meeting. 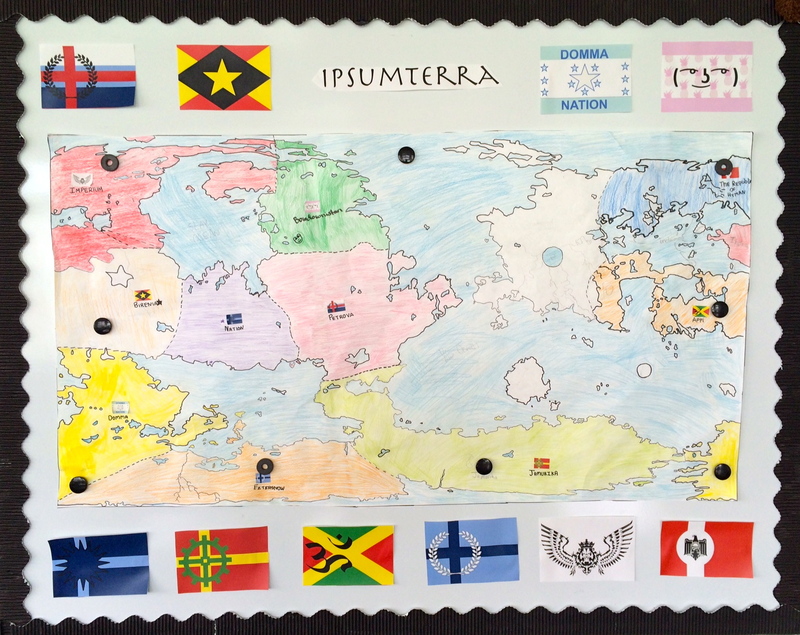 This student-centered integrated unit yielded high learning and allowed students to immerse themselves in the concept of global issues through simulation. They also stretched their thinking in developing proposals that could possibly meet the approval of the global council. Not only did students solve problems, but they practiced math skills and developed their creative writing capabilities. Students were encouraged to think and rethink, and there was plenty of collaboration throughout the unit. Thanks to my colleague, TL, for developing this concept and for sharing it with me. Design thinking is a problem-solving protocol that many businesses have been using to create products and find viable solutions. 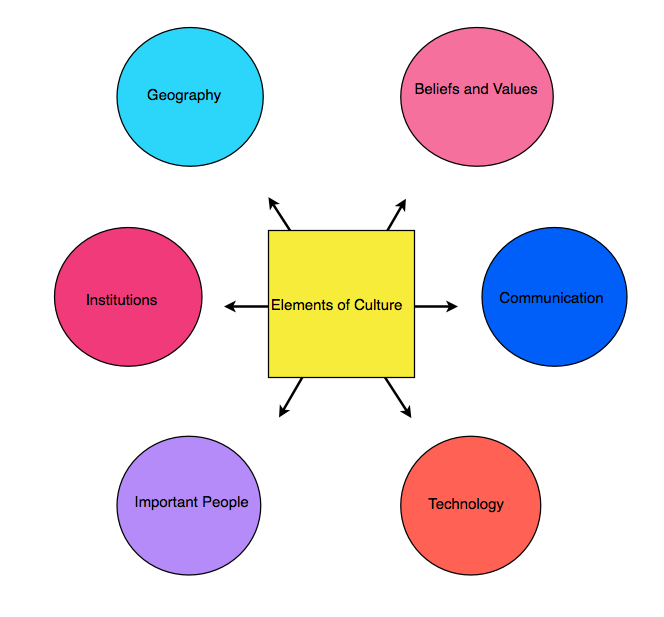 Currently, there is a movement among educators to apply this design protocol to education, and even extend it beyond STEM courses to include language arts, social studies, foreign languages and fine arts. Design thinking, according to Wikipedia, is defined as combining empathy for the context of a problem, creativity in the generation of insights and solutions, and rationality in analyzing and fitting various solutions to the problem context. 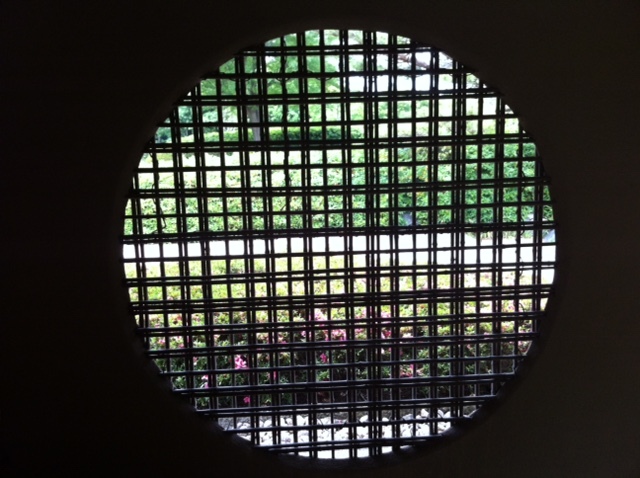 Immersion – a deep and divergent period of research, observation and understanding issues from different perspectives. Synthesis – students deduce interesting gaps to explore, problems to solve or opportunities to solve, using the information they have gathered from the collective research of the class, and specific thinking skills, with an emphasis on making their thinking process visible. Ideation – determining possible ideas and solutions for the identified problem. Prototyping – creating and testing solutions with an emphasis on thinking skills and mindsets that allow students to create early and often. Feedback – students adjust their work and learning based on feedback from their peers and their teachers. Ideation, prototyping, and feedback is a cyclical process which helps students create and test many potential ideas for problem solutions or ways of demonstrating their learning. Implementation / Display – celebrating and sharing not only the finished product and learning achieved, but the process behind it as well. Our school’s current strategic plan is embracing design thinking throughout all subject areas. In this school year, our faculty has been working with NoTosh as they spearhead our school effort. We have had several in-services for the entire faculty and the philosophy behind design thinking has been introduced. As part of the school-wide professional development, all teachers were asked to formulate a goal – an initiative – no matter how small, that would in someway embrace the philosophy and implement this before the year’s end. My language arts and social studies team took the idea of a learning wall and applied it to an integrated unit focusing on courage and refugees. The learning wall is an excellent tool for synthesis and helps students “hone in on a worthy problem to solve.” It is also an effective means of showing and applying their understanding of the unit concepts. 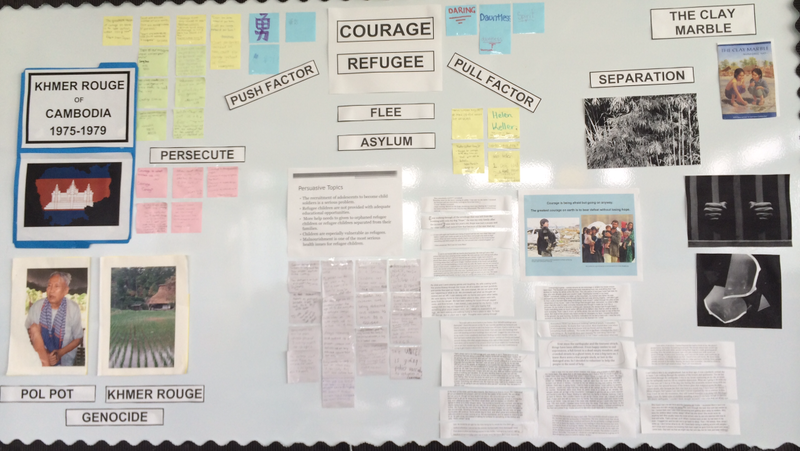 We began the learning wall early in a unit focusing on the concept of courage and refugees (immersion). Students explored the idea of courage and used Webspiration to create a mind map of their research. Their courage mind maps included antonyms and synonyms , song lyrics and poems, photographs, quotes, examples of courageous people. Following, students explored the concept of refugees including key vocabulary words such as push and pull factors, asylum. and flee. Pol Pot and the Khmer Rouge was introduced and students were exposed to the idea of genocide. This all culminated in a deeper understanding of what it means to be courageous and what it means to be a refugee. Throughout the process, students were constantly adding key points to their learning wall by posting definitions, photos, post-it notes, and computer print-outs of their writing. This led to the next phase, which was a research unit. Students were instructed in how to use our school’s data banks to access information through our library website. They also were instructed in how to paraphrase and cite sources properly. The topic of “child refugees” was used as the content for teaching this research unit. As students researched, they continued to add to the learning wall, and came up with many topics involving child refugees. As a group, we worked together to narrow the many topics down to five (ideation): 1 – The recruitment of adolescents to become child soldiers is a serious problem. 2- Refugee children are not provided with adequate educational opportunities. 3- More help needs to given to orphaned refugee children or refugee children separated from their families. 4- Children are especially vulnerable as refugees. 5- Malnourishment is one of the most serious health issues for refugee children. From these five topics, students chose the one which interested them most and then collected further research to support their thesis in a persuasive essay which included an actual call to action. (prototype) Students collected research and wrote their essays using Google Docs which allowed their peers and teachers to provide specific, timely feedback in the essay writing process. Students have finished their Maasai Culture iMovies, we have received feedback via email from our Maasai representative, and we are currently awaiting feedback from Jakarta International School; the sixth grade class that is collaborating with us. It’s been a great experience for students and teachers and all of us have taken the time to reflect on the process in a number of ways. Through the use of Google Forms, students reflected about the role of technology in the unit and how it helped their learning. They also reflected about team work and the general set up of the project. Teachers, in turn, reflected about the use of technology, the integration of curricular outcomes, the collaboration process, grading, and the general design of the unit. Important ideas were discussed and revisions have been discussed and noted for next year’s implementation. We are happy and excited because we believe that this unit was truly an “upgrade” from what we had done with Maasai research in the past. Over the past two years, our team has been redefining the unit, in terms of outcomes, process, and evaluation. The key factor in improvement this year, was the target audience. Having an audience composed of sixth graders outside of our school was a huge motivator for the students. It prompted them to do their best work and problem solve together to find the most interesting ways to present their information. Students were introduced to the project following an introductory mini-unit which examined the universal elements of culture through the lens of the Dani of Irian Jaya, Indonesia. Following , students began reading Countdown, by Ben Mikaelsen, a book that we use as a class novel study, which compares the culture of an American middle school boy to that of a Maasai boy of a similar age. Students were excited at the prospect of learning about yet another culture that was so different from their own. 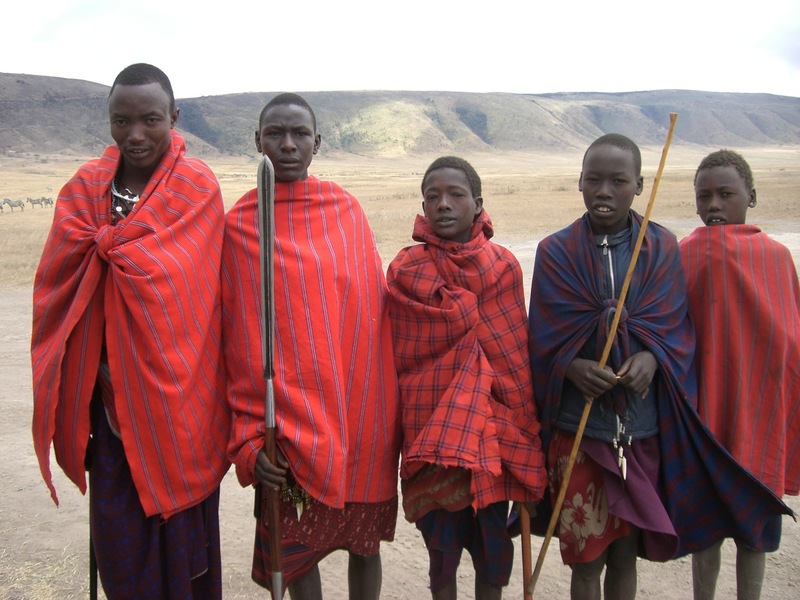 In culture teams of four or five, students collaborated on a research plan, carried it out, shared their research, composed narrations, and completed a film clip of their research which was then edited together to create one iMovie which focused on one element of culture as related to the Maasai. We had a total of five culture teams. We initially began to use Keynote as the mode of presentation, but made the decision to switch to iMovie for the final products, although students had the choice of importing Keynote slides into their iMovies. The decision was made because, while Keynote would meet the requirements for presentation, iMovie seemed to be the best fit for what the students needed in completing their final creations. The students worked hard, collaborated effectively, problem-solved thoughtfully, negotiated frequently, and produced final products which met requirements and achieved the goal. We shared the projects with a sixth grade class at JIS via edublog which included a reflection template for collecting feedback. I’ve learned a lot in this fifth course with the implementation of the final project. Technology can be effective, but it’s clear that it is only as effective as the carefully planned learning activities that it supports. This unit is an example. In considering the SAMR model, some augmentation and modification are evidenced in this unit, but technology enabled us to raise the stakes and move this project towards redefinition. The creative capabilities that iMovie allowed and the global sharing aspect and “connectedness” that Edublog made possible, without a doubt, created meaningful activities that could not have been accomplished without technology. Thanks to CoETaIL, I have gained more confidence as an educator. I understand the importance of collaboration now more than ever before. I have gained knowledge and skills that will enable me to plan effective learning events that utilize technology in ways that challenge and interest my students, while enabling them to become the best digital citizens, collaborators, problem solvers, and future innovators that they can be. Thanks to my CoETaIL facilitator, Kim Cofino! She and all the members of CoETaIL and the YIS cohort are bringing education into the twenty-first century! Thanks everyone! Since the beginning of this school year, many thought-provoking, and sometimes gut wrenching, ideas have challenged me to really think about the present model of education. In recent weeks, I have blogged about Tony Wagner and his ideas regarding play, passion, and purpose, and Finland’s model of education that has been so successful. The following video clip, produced by Ericsson and featuring Sugatra Mita, Daphne Koller, and Jose Ferreira, came to my attention this week. All of these have a common thread that prompts a re-evaluation of educational ideas and practices. I come from a traditional educational background. I attended a public elementary school, grades 1-6, then went on to a public junior high school, grades 7-9, and graduated from a public high school grades 10-12. I then attended a state university, received a bachelor’s degree, and then finished my master’s degree in the first three years of my teaching career. School was often difficult for me, but I was a good student because I worked hard and, most of the time, I was able to meet the expectations of the model. On the other hand, I never scored well on standardized tests and still remember the anxiety that I had taking achievement tests in elementary and junior high school, the SAT in high school, and the GMAT before entering graduate school. As a teacher for nine years in the public schools of North Carolina, I worked diligently with my students to help them pass state sanctioned “end-of-grade” tests in different subject areas and writing standardized tests. It’s interesting that the model of education that existed when I was a child in elementary school had changed very little by the time I became a teacher…and is still essentially the same. And still today, students who, like me, are able to meet the expectations of the model, are doing well in the system. Those who can’t are the students who are “enduring” the school experience, and are hopefully finding their own ways to be successful. Currently, due to enrollment issues and the changing climate of Japan in general, ASIJ is in a period of transition. Administrators, teachers, and students, through a strategic development plan, are reviewing the school’s approach to education across the board. This is an important time for the school, because opportunities for effective change exist on so many levels. Is our current model of education really meeting the needs of each of our students? Are we encouraging “out of the box” thinking and motivating future innovators with learning experiences that nurture entrepreneurialism? What do we as a faculty and community at large value when it comes to education? Our PTA is currently holding screenings for the video “Race to Nowhere” for administrators, faculty, and parents. This is another film that calls out for schools and communities to re-evaluate their educational values. Sugata Mitra and his research suggest that students will learn for themselves and sometimes teach each other if they are intrinsically motivated by curiosity. How often, as teachers, are we able to allow students to pursue the things that really motivate them and incorporate play and passion into the school day? I believe that all good teachers try to do this, but within the current system, they are often bound to be the “conveyors of content”. No doubt, we have come to a crossroads. It’s exciting to think of the possibilities. 6th Grade Maasai Culture Project: We’re Almost There! Two weeks into the project, 6th graders have been working hard in research teams to gather information regarding their specific topic for our Maasai Culture project and have almost completed their presentations. Things have been running smoothly for the most part; however, we ran into some issues early on regarding the age-appropriateness and readability level of certain web resources, which turned out to be a great lesson in digital citizenship. We also made the decision to switch from Keynote to iMovie, although students were given a choice. Keynote offered many features that the students wanted to incorporate into their presentations, but we found that iMovie, as the presentation application, was best suited for the task. Some students used Keynote and then incorporated that into their iMovie clip. A notable challenge for students was the process of paraphrasing. This is a developing skill for sixth graders and required a significant amount of direct instruction as well as careful source referencing and several re-edits for some. After a process of drafting, editing, peer editing, and writing conferences, students finalized their paragraphs and were ready to begin putting their presentations together. The purpose of the presentation is instructional and students have kept this and their audience in mind as they worked. iMovie and Garageband were new to many students, so two lessons of direct instruction were given for both applications. It didn’t take long for them to get the hang of both, especially with the assistance from a few of their peers who are skilled in both of these programs. The fact that students have a real audience of sixth graders at Jakarta International School really focused their efforts and added another layer of accountability across the board. We were also very happy and excited to hear from Jacob Mameo, a Maasai who has agreed to preview some of our presentations and offer feedback. Thank you Ruth Ingulsrud for this amazing connection. Students can hardly wait to share their work with him and follow up on his expert advice. 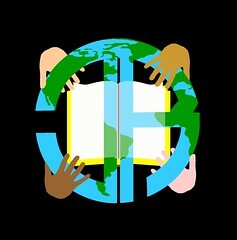 We anticipate sharing our presentations with JIS toward the end of next week via Edublog. ASIJ students still need to prepare a viewing template for JIS students so that their feedback comments are focused and purposeful. After we “flatten” the walls of our classroom and share our presentations, JIS students will reciprocate by sharing information about different cultures which they have been studying. It’s been an exciting process for both my students and my team so far! We are extremely pleased with how well our language arts curriculum has integrated within this social studies project. Regardless of socio-economic background or where you live, in Finland, every child is assured the same type of education with a similar curriculum. The Ministry of Education promotes equality in education and insures a basic education for everyone. This is an initiative that has been in place since 973. A core curriculum has been established by the Finnish National Board of Education, and this education is free for Finnish citizens, including course materials and school lunches. Moving in this direction, The National Governors Association Center for Best Practices and the Council of Chief State School Officers have developed U.S. Common Core State Standards Initiative for schools in the U.S., which “are the first step in providing young people with a high quality education.” To date, forty-five states and three territories have adopted these standards. Hopefully this initiative will help to bring about greater equality in the educational opportunities for American students. Another cornerstone of the Finnish educational system is student autonomy. Schools in Finland are not bound by external assessments such as end-of-grade and standardized tests. As a result, more class time is available for students to complete projects at their own pace, and identify and develop their own style of learning. Students assume high levels of personal responsibility in the classroom which frees teachers to help individual students. The model, then, is based on student-need and learning style, with an emphasis on students finding solutions on their own. “Less is more” in Finland’s educational system. Students can go into greater depth with projects due to brevity of the national core curriculum and still have time to engaged in activities which interest them…”passion and play.” Students work collaboratively with more choice and the arts are well-integrated into each class. Another important alternative for students exists in secondary school. At this stage in their education, students have the choice of prestigious vocational track, which 45% choose each year. These students are well prepared for satisfying careers when they complete high school. Projects and challenged based learning is gaining momentum in U.S. and international schools, including my own. These approaches contain elements of the autonomy discussed here and provide student choice in terms of problem solving and the creation of solutions. Trust is also an essential element in Finnish education. Teachers and students are left to their own without inspection. In this small country, a system of trust works. Individuals seem to work better when they are not told what to do. Trust prevails at all levels. The ministry trusts administrators to ensure that local systems carry out the core curriculum. Administrators trust teachers to do the same. Classroom teachers trust students and the parents trust their children and their schools. On the other hand, a compliance-based system is the norm in U.S. Teachers comply to administrative directives and students comply to guidelines for achieving a certain grade. Trust is incorporated into Finnish society; not so much in U.S. Would this type of approach work in the U.S.? The compliance system doesn’t seem to be working. 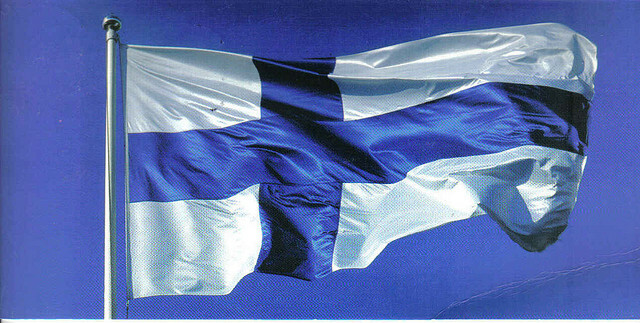 The development of a consensus of what education is and must offer children was key in developing this trust in Finland. The Common Core initiative is evidence that U.S. policy makers, states, and local systems are working to define what comprises the best education for students in the 21st century…an important step forward. The final area is teacher training and professional prestige. In Finland, all teachers are required to have an advanced degree. Teachers think of themselves as “knowledge workers” and, over the past 25 years, standards have been raised, and teacher education training is offered to only the most qualified. Admission requirements for students who wish to be admitted to university teacher-training programs are stringent, so the bar is raised even before potential teachers enter university. Programs for teachers in training are rigorous and hands-on. Student teachers observe master teachers and have their own teaching practices critically evaluated. Teaching as a profession is considered prestigious and only about 5% of teachers who enter the profession in Finland change careers as opposed to approximately 50% in the United States. These are not the only reasons for Finland’s success in education. Notably, academics take center stage in this country while sports and other extra curricular activities are secondary. The time engaged in learning experiences is not interrupted. In most countries, technology is something that teachers use to deliver education, while in Finland, technology is a tool that is utilized by students to find answers to their own questions, create products, and solve problems. All of these strategies are moving students closer to the goal of achieving skills that they will need to work effectively and contribute positively in the future. Wagner notes that many good schools in the U.S. and around the world are incorporating some of these elements. This is a thought provoking film highlighting an educational success story. There are lessons to be learned here. Again, these are ideas to be explored. Can a model like this work in other countries? This blog post, “How Finnish Schools Shine”, from The Guardian, offers a great summary and objective look at “the world’s most surprising school system”.